Abdominoplasty or "tummy tuck" is the most common procedure for flattening the stomach. The tummy tuck is helpful to women who have stretched muscles and skin after pregnancy, or for women who have lost a great deal of weight. The procedure removes excess skin from the middle and lower abdomen and tightens the muscles of the abdominal wall. The resulting scar is permanent, but can be hidden below the bikini line. This procedure is often combined with other procedures like Breast lifts or Liposuction to produce a very popular series of surgeries called Mommy Makeovers. Along with the tummy tuck, your surgeon may recommend liposuction to remove excess fat deposits... creating a more desirable body contour. Patients who plan to lose a lot of weight or plan future pregnancies should probably postpone having a tummy tuck. This procedure is usually performed in 2 to 5 hours with a minimum of one to two days in the hospital to monitor your recovery and ensure your comfort and safety. The recovery period is usually 1-2 weeks. Abdominoplasty, commonly referred to as a Tummy Tuck, is a popular cosmetic surgery procedure used to tighten overly stretched abdominal muscles and skin in an effort to achieve a smoother, flatter appearance. Whether stretched by factors such as weight gain, weight loss, pregnancy, etc., the abdomen frequently fails to return to its original shape. Stretched beyond the capacity to return to normal, abdominal tissues don't always respond to various exercise and diet programs. In such cases, a tummy tuck may provide a highly effective, immediate solution in the treatment of stubborn abdominal areas. In short, a tummy tuck may dramatically tighten the abdominal muscles as well as remove sagging, excess skin and accumulated fatty tissue. As an added benefit of the tummy tuck, not only will the abdominal region be firmer and flatter, but the waist will be smaller as well. For the first few days following aTummy Tuck, expect some degree of swelling in the abdominal region. Furthermore, it is likely that the patient will experience some pain and discomfort which may be controlled by various pain medications. In an effort to reduce any pain and discomfort associated with a tummy tuck, it is common that two to three days of bed rest is recommended. During this time, the surgeon may suggest that the patient keep their legs slightly bent at the hips to reduce the amount of strain placed on the abdominal muscles. Furthermore, most surgeons will provide the patient with an "abdominal binder" which serves to offer support to the tightened areas. The surgeon will provide additional instructions for various activities such as showering, changing the surgical dressings and walking. It is frequently recommended that patients walk as soon as possible, even though they may not be able to stand straight up initially. Stitches and sutures are typically removed within the first five to seven days following surgery. Deeper sutures with ends that protrude through the skin, those used at deeper levels under the skin, will come out in two to three weeks. Who Would Best Represent an Ideal Candidate for a Tummy Tuck / Abdominoplasty ? All surgical procedures, including the tummy tuck, have potential risks associated with their performance. Basic risks include, bleeding, potential reaction to the anesthetic, and infection. Some scarring is to be expected with a tummy tuck. As mentioned earlier, scars will become lighter and flatter with time. Smoking may increase the risk of complications and may delay healing. Furthermore, smoking could potentially lead to larger scars. Most risks and complications associated with the tummy tuck may be reduced significantly by closely following any and all of the surgeon's instructions. Cost of plastic surgery in San Diego is really high! . Hey guys, I've been checking out your web site, and I think it's amazing, the compare prices page really got me excited. I was getting some tummy tuck prices in San Diego into the double digits. Mimi, Thank you , we hope you find the procedure you are looking for and yes I have heard that Plastic surgery, tummy tuck or other is very expensive in San Diego ( Great Place Though!) You might want to consider traveling to another state for your Tummy Tuck. Prices in neighboring states will probably be much less, and may be worth the trip for you. Breast reduction and tummy tuck , Chicago, IL. Sophie, yes it is possible to have both surgeries done at the same time. We have this option available on our Package page. A few things to keep in mind is that the cost of a tummy tuck will go down when combined with the breast reduction. In order to get both done at the same you will have to be in good health, and have good pre op blood test workups. Do any of your hospitals or surgeons offer finance plans And or payment plans. Mari, as of right now no they do not although we are currently working on offering this option to our clients through separate finance companies that specialize in PS financing. I've been looking at tummy tuck costs others countries, and I was thinking about mexico, but now that i see your web site and know about all the things you are offering, it just sounds great!!! Well Lois, I'm so glad that you can see us as a great option for you, we invite you to go to our web site, and get a personalized quote of anything that you are interested on and then we can help you even more. 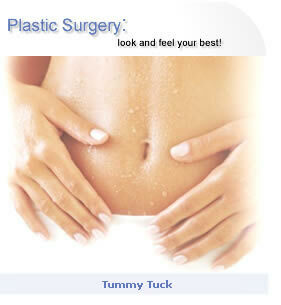 Their are several excellent Plastic Surgeons in Mexico that have great prices on Tummy tucks, full or partial. I was thinking about getting my lipo and Tummy Tuck in Phoenix. but i didn't really find a price that that fits my budget. I was thinking about getting at least the tummy tuck in mexico, is it safe? Tummy Tuck in Phoenix, AZ. Hi, I am surprised that you were unable to find good tummy tuck prices in Phoenix. Please send me the quotes you have gotten so far and I will see if I can help you or get you a quote for both surgeries done in mexico or another close state.